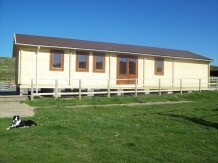 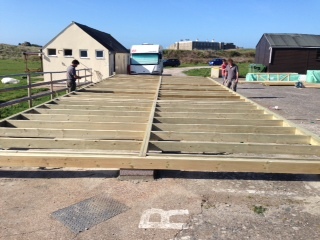 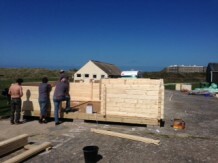 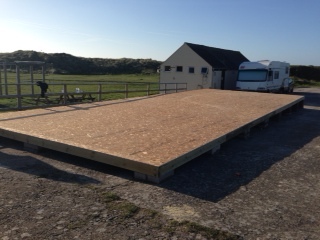 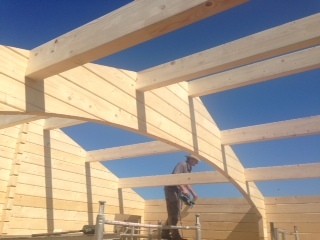 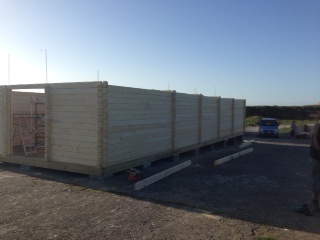 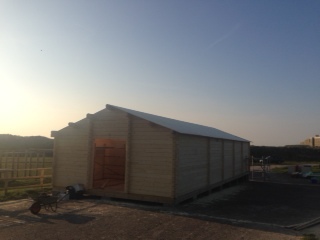 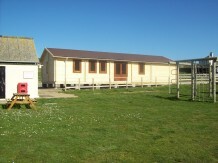 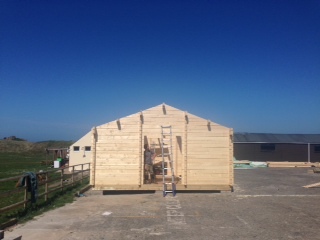 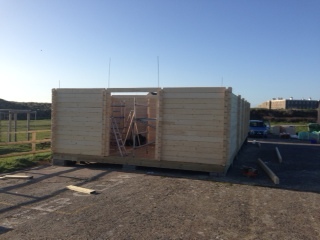 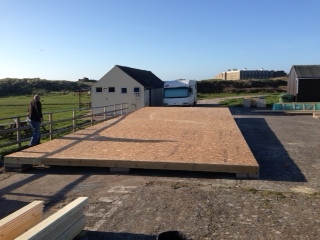 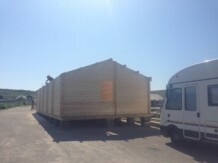 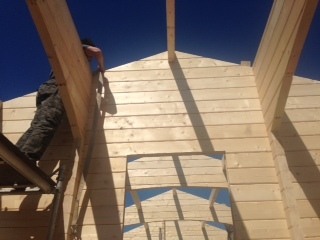 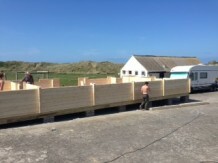 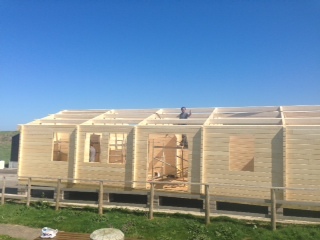 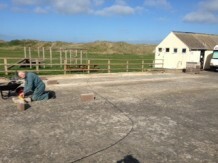 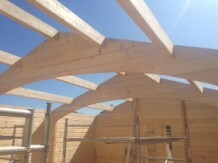 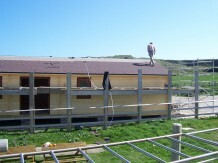 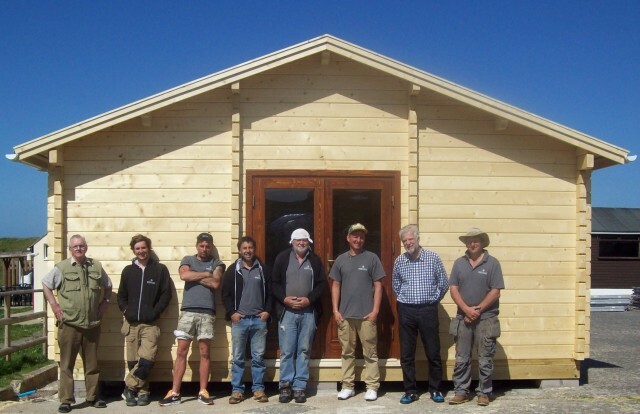 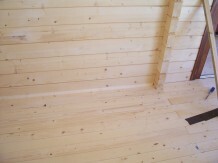 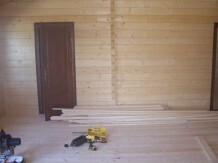 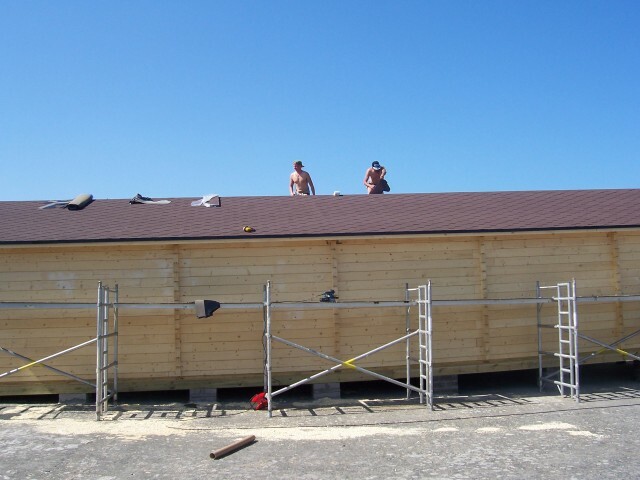 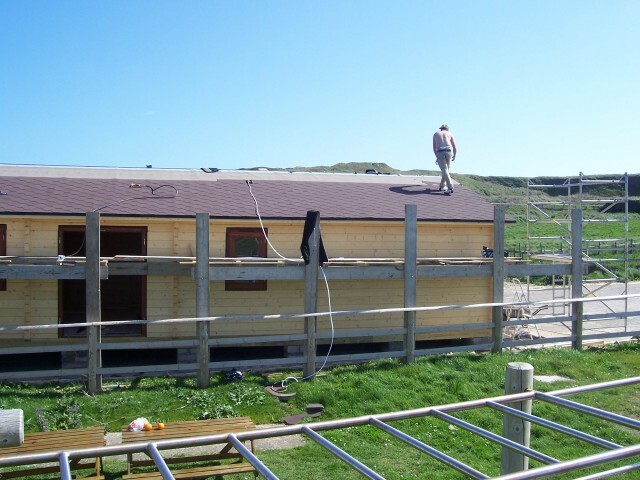 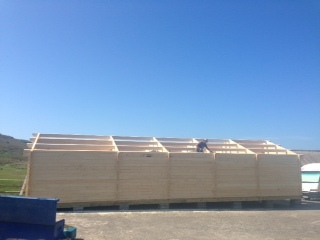 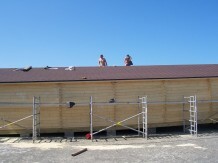 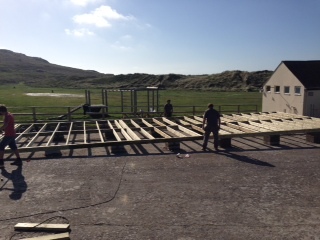 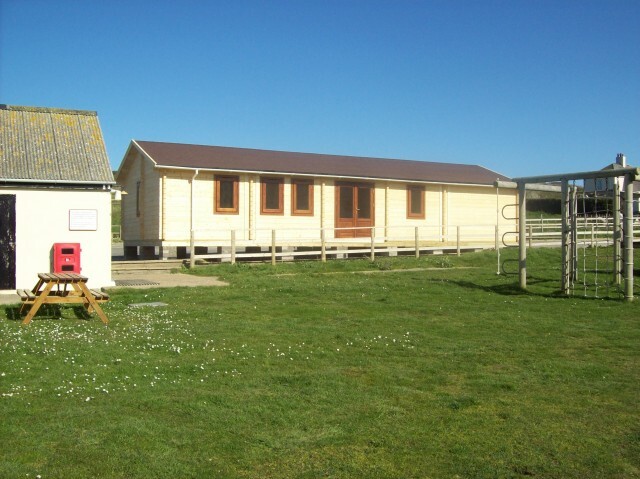 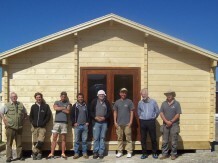 Here are a few pics the customer sent through of the completed bespoke 80mm glulam log cabin on Alderney, Channel Islands. 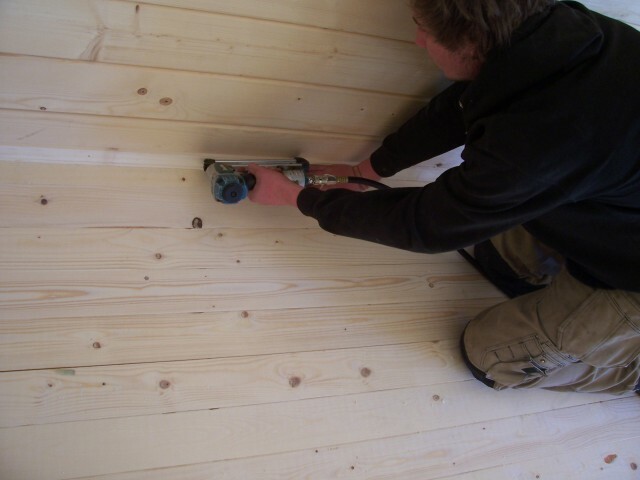 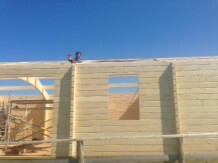 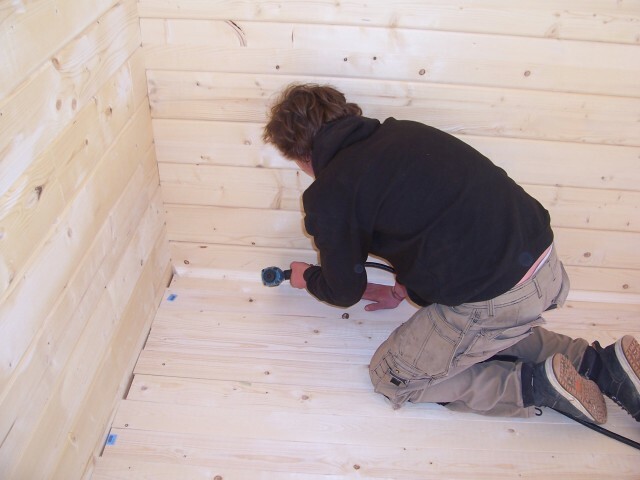 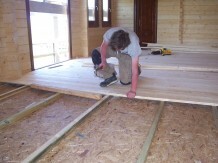 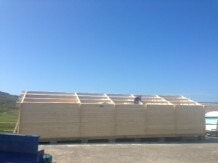 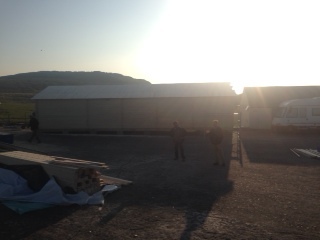 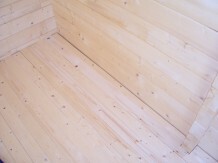 The wall logs are 80mm thick glulam logs. 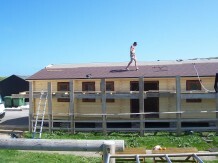 All the windows and doors are factory treated and painted.